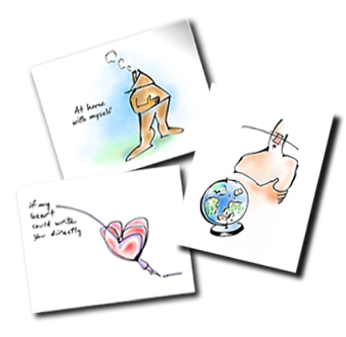 These notecards are for your inner occasions, for moments of soul and psyche. Select any cards you wish! Buy them individually, by the series, or as gift sets. Cards are blank inside, 4.25” x 5.5” on recycled paper with recycled envelopes. Each card is protected in a clear biodegradable sleeve. They evoke, provoke and delight.